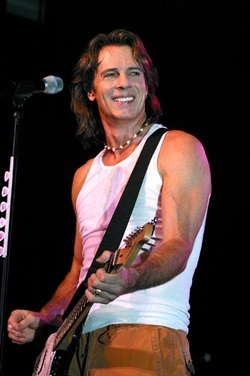 (pop rock) - For all his accomplishments as an actor, a best-selling author and the subject of a recent documentary, Rick Springfield’s first love has always been music, since the first time he picked up a guitar at the age of 12 inhis native Australia. With 25 million albums sold, 17 U.S. top-40 hits, including “Don’t Talk to Strangers”, “An Affair of the Heart”, “I've Done Everything for You”, “Love Somebody”, and “Human Touch”, as well as a 1981 Grammy® Best Male Rock Vocal win for his No. 1 single hit “Jessie’s Girl” behind him, Springfield has more to say with his latest new release, “Songs for the End of the World”. Still playing nearly 100 live shows a year, Springfield’s bond with his audience is the subject of the recent documentary An Affair of the Heart, which came out earlier this year, winning special jury awards at both the Nashvilleand Florida Film Festivals. He also recently wrote and recorded a new song with Dave Grohl (Foo Fighters / Nirvana) as well as being a featured guest in Grohl’s new documentary about “SoundCity,” the fabled San Fernando Valleyrecording studio.